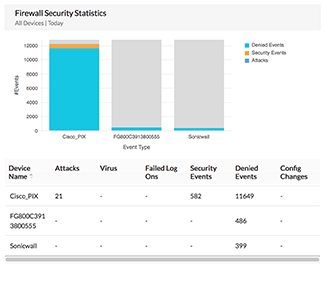 Strengthen the security of your firewall with Firewall Analyzer. Tighten your firewall controls to strengthen IT network security. Meet your industry's regulatory standards. 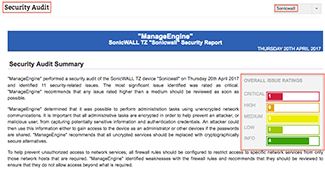 Capture any anomalous security events happening in your network. 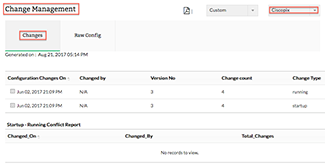 Monitor firewall policies and manage changes. Audit firewall security and adhere to compliance standards. 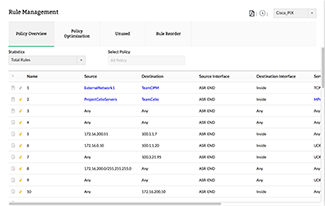 Analyze and modify firewall policies. Keep tabs on unused and frequently used policies by tracking usage patterns. Check your firewall policies for anomalies, which can lead to network security loopholes. Weed out all unwanted policies and fine-tune the valid ones to improve firewall performance. Ensure only authorized firewall administrators make changes to your policies. Check the exact changes made to these policies as well as the effect before and after these changes were made. Receive instant notifications about any and all changes. Get firewall security management simplified by our technical experts. Analyze the impact of vulnerabilities and severity. Get recommendations on how to fix vulnerabilities. Follow suggestions on firewall security best practices to proactively strengthen your firewall. Adhere to industry compliance standards. 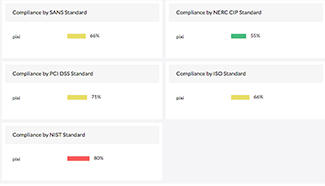 Ensure you're meeting key compliance standards, including PCI DSS, ISO 27001, SANS, NIST, and NERC CIP. Make sure you're always ready for audits with continuous network compliance monitoring. Prepare for audits using periodic compliance reports. 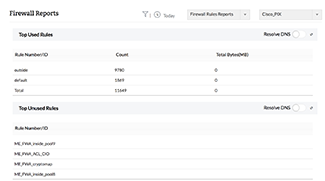 Analyze firewall logs to find anomalies in bandwidth usage and security events. Monitor the user behavior of firewall administrators.